According to Danish paper BT, it will be Colombian Roamer Alexis Angulo (22-0 and reigning WBO Latino champ) that takes on the comebacking former WBC and WBA super middleweight champ Mikkel Kessler. The deal is not done yet though, but is it claimed that only the details remain to be worked out. 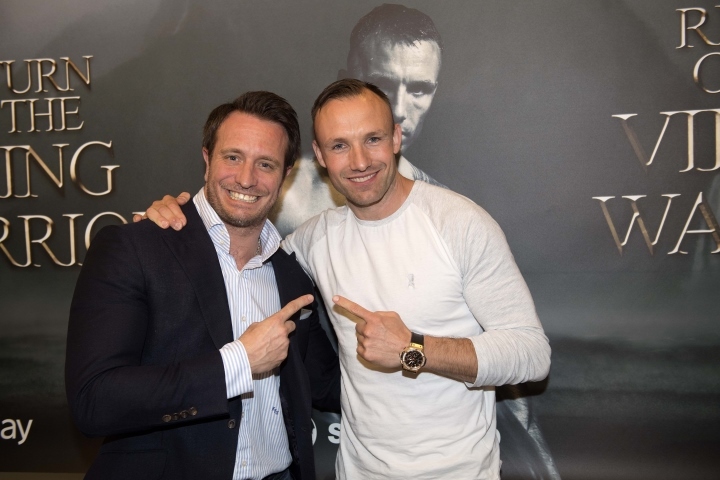 Date and site is still to be confirmed but BT writes that Team Sauerland might do a big show in Denmark in November. Kessler, in full training all summer, is spending this week in Nykoping, Sweden, where he spars with World Boxing Super Series participant Erik Skoglund, who faces Callum Smith next month. Angulo is # 6 with the WBO and # 7 with the IBF have never fought any big names. Kessler hasn´t fought since 2013 and announced his retirement in 2015. French lightweight Yvan Mendy (39-4-1 and WBC Silver champ) is out of the planned fight against EBU champ Francesco Patera - a showdown that Italian promoters OPI since 82 had planned for the fall after winning the purse bids. This paves the way for an earlier than expected rematch between Patera and ex-champ Edis Tatli. Patera won the title on a controversial decision in May in Helsinki. Team Tatli made an official protest but only got a position as official challenger for the winner of Patera vs Mendy. Patera vs Tatli II goes to purse bids August 30. Not a bad opponent for Mikkel's return to the sport! I'm there. What a nutcase, on the shelf for 4 years and he wants to comeback against an unbeaten Colombian. This guy was always a warrior! Kessler needs to fight somebody. It seems like ages since he announced the comeback and he's only getting older. Oh baby let's hope this actually happens.